The history of the kilt is a thing tangled in myth, legend, pride and misconceptions. The kilt, the pride of the Scottish since the 1600’s, is also claimed to have originated in Ireland. And the man who claims credit for the creation of the kilt? A British man, Thomas Rawlinson, who lived near Inverness. Did he create the kilt? Some Brits certainly claim he did. The reason? 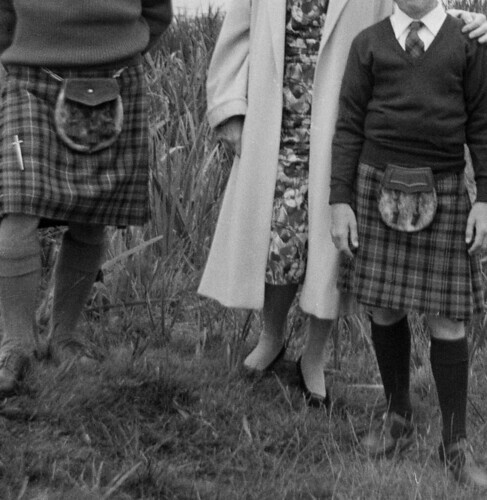 The average Scotsman was too poor to afford a pair of pants. The British then because outraged because the kilt caught on and gave the Scottish something unique when they were trying to force them to be like themselves. Though this account is interesting, it’s not entirely accurate. The Scottish kilt was around since the 1600’s. It’s impossible to say who originally designed it, though it’s believed that it might have transformed into what it is today from the Gaels or the Celts. At this time, the Scottish Highlanders wore kilts, which the Lowlanders considered a disgrace. Then, it was called the great kilt. It was full-length and could be worn over one’s head, like a long shirt that hung to the knees. It was belted around the waist. Today, the kilt is worn primarily for formal or national occasions.